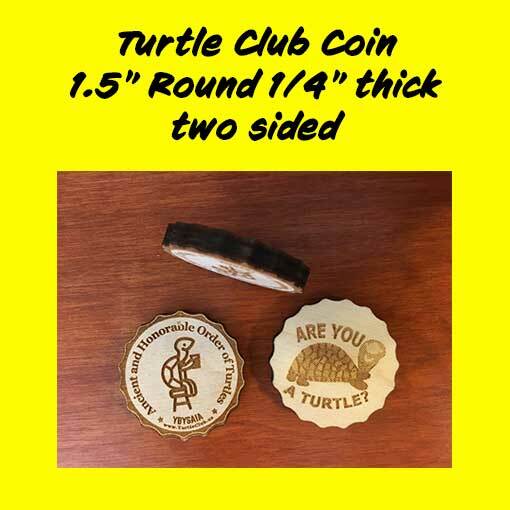 1.5″ round laser etched coin with scalloped edges that are burnt black. Both sides have etched images. 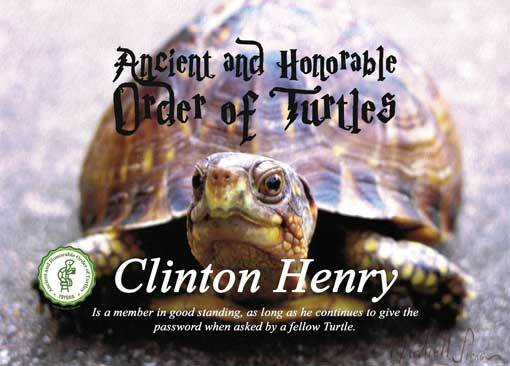 Ancient and Honorable Order of Turtles with Turtle on a barstool on one side and Are You A Turtle and turtle image on the other side. These are 1/4 ” thick Birch ply with laser-cut edges that are burnt black as you can see in the photo.